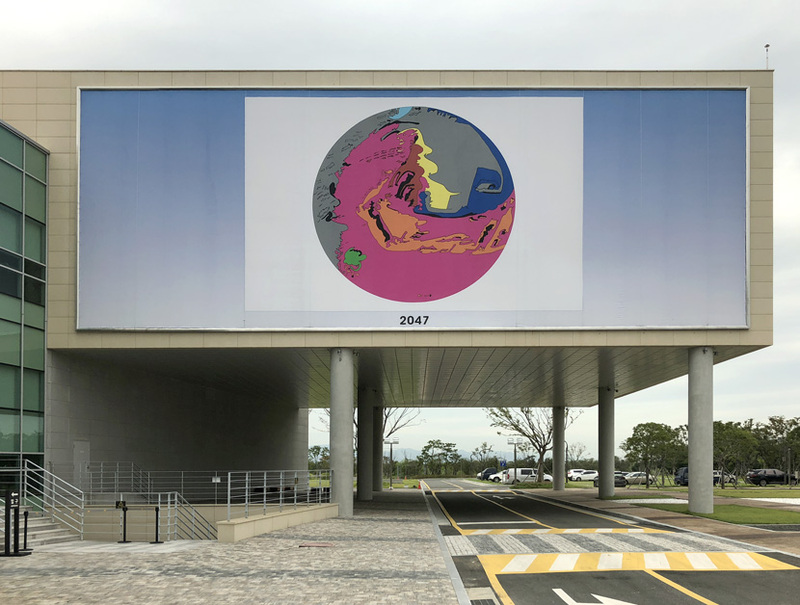 A digitally printed banner, size 9 x 24 meters, installed on the facade of the Museum for Contemporary Art for "Divided We Stand", Busan Biennale 2018, in Busan, South-Korea .The central map of the banner is a coloured rendering of the final drawing in "Psycho-Mapping East Asia", which is installed inside the museum. Drawings as GIF-animation. 2019 animation.